Every now and again, I get my act together enough to put up a Sunday post! This is a meme hosted by the Caffeinated Book Reviewer wherein everyone gets to share their news for the week. 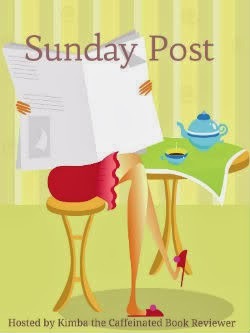 It's a great opportunity to see what's happening out there in the blogosphere, so go check out some other Sunday Posters! So how's life? I'm undergoing a bit of a shift in mine right now, and I'm looking forward to what should be a really awesome new schedule by the end of the year. I've got a stack of reviews coming: there'll be at least one 'quickies' post this week because I need to catch up on books I've already finished reading for review but haven't posted to the blog yet. 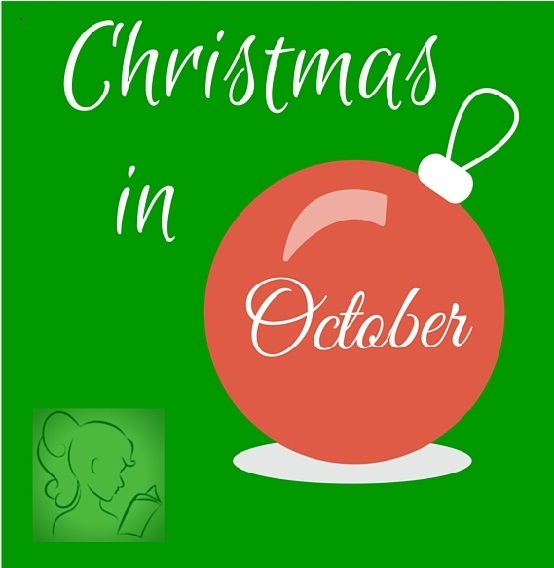 Last week, here on To Each Their Own Reviews, it was Christmas in October! I reviewed five Christmas-themed novels (four romances and one women's lit), and had two lovely guest posts from authors. It was a lot of fun! 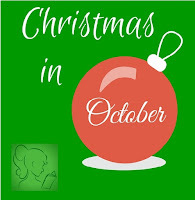 Frankly, I think it's hilarious that so many Christmas books come out in October. November, sure, you want to get ahead of the season. But I think companies should be catering to Halloween in October. So of course, I had to turn it into a big to do! Sometimes I choose to 'did not finish' a book when I'm half-way or so through it, and I'm not enjoying it. I don't like to do it, but when reading becomes a chore, I'm not going to let a bad book slow me down! This one is a YA fantasy novel that I actually set down really early on. The story had me rolling my eyes pretty quickly, and I could not get into the world that was being laid out. This is the sixteenth book in a series that I hadn't read before. And unfortunately, I won't be going back to. I disliked the style of the writing, and the tone of the book. Though the blurb still makes me want to pick this one up, I simply can't get past the writing itself. Reading: I'm just starting Prisoner of Love by Cathy Skendrovich. Watching: Binge-watching seasons of The League, which has moments of hilarity and moments where it goes a little too far for me (e.g. Rafi could depart and I would be happy). Playing: For my husband's early October birthday, I conceded and played some EverQuest with him. I've also been playing a bit of Dota 2 and Payday 2. Feeling: Cold, not loving the change in temperature and that it's only going to get colder until spring. Loving: Having some really productive days. Seeing the light at the end of the tunnel. Planning: My Nanowrimo novel draft. Wanting: More hours in the day, always. Thinking: About how to balance my time spent working and cleaning with play time with my husband and kids. I watched a Youtube video recently that was an author, Jenna Moreci, talking about setting goals. She talks about her strategy for getting projects done: She sets 10-20 goals for each quarter of the year, and then reviews them at the end of the quarter. If she's gotten at least half of them done, then she pats herself on the back. Seems like a good system to me. I'd like to pat myself on the back every three months! So I've decided to set some goals to see me through to the end of the year, and we'll see how well I do! - create a calendar with my editing, writing and blog posting goals on it. - Nanowrimo - 50K in November! That's 11 goals, all of which would be lovely to complete! What are your goals for the rest of this year? Are you Nano-ing next month? What books have you had to DNF this year (and did you read the ones that I DNFed and did you love them?) Let me know in the comments! Setting goals can be great...as long as they are achievable. I did NaNoWriMo in 2010....and later went on to complete and publish the novel. Enjoy! Christmas stuff seems to come out sooner and sooner - I guess that applies to books now too! I need to find some Christmas/ wintery books for the HoHoho readathon next month... I better get busy. I need to update Good reads too, just thinking about it reminds me how behind I am. LOL. Good luck with NaNo! I like the format you're using for this post. I've started DNFing if a book becomes a struggle. Life is certainly too short. And I love the goal-setting idea. I'm a goal-setter but sometimes struggle on the follow-through! I wish I could be more goal orientated long term but I am hopeless but yay for you being so organised! I wish you well with all of them!